Posted on June 7, 2013, in California, haiku, Haiku My Heart, Recuerda Mi Corazon, Sky Watch Friday, Southern California and tagged blossoms, haiku, prayers, Southern California, tamarisk, wildflowers. Bookmark the permalink. 17 Comments. “nuzzling the sky with fragrance” So perfectly you. I would love to be smelling these in the morning!!! A fragrance I would like to inhale I’m sure. 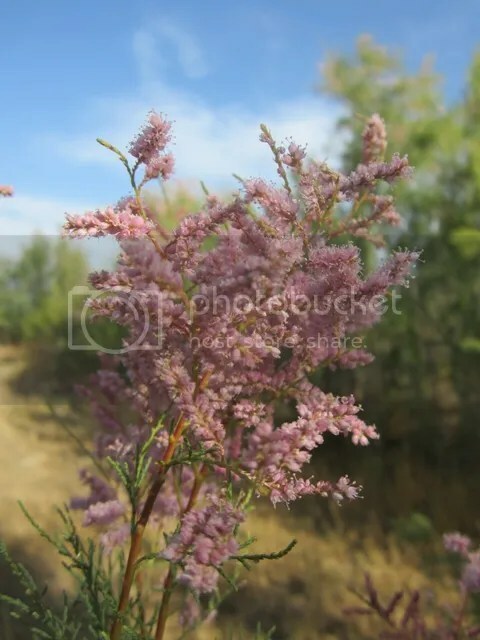 Tamarisk has taken over in this part of the world…thank goodness it has such beautiful, fragrant blossoms! Beautiful photograph. Happy sky watching. Have a happy, peaceful weekend dear one – hug from Holland! what a joyful image! now I too want to inhale the fragrance! Gorgeous. I don’t know this plant. I wish I did. of course you know i love that! beautiful, how big is the plant? I’ve never seen these before. Beautiful flowers.